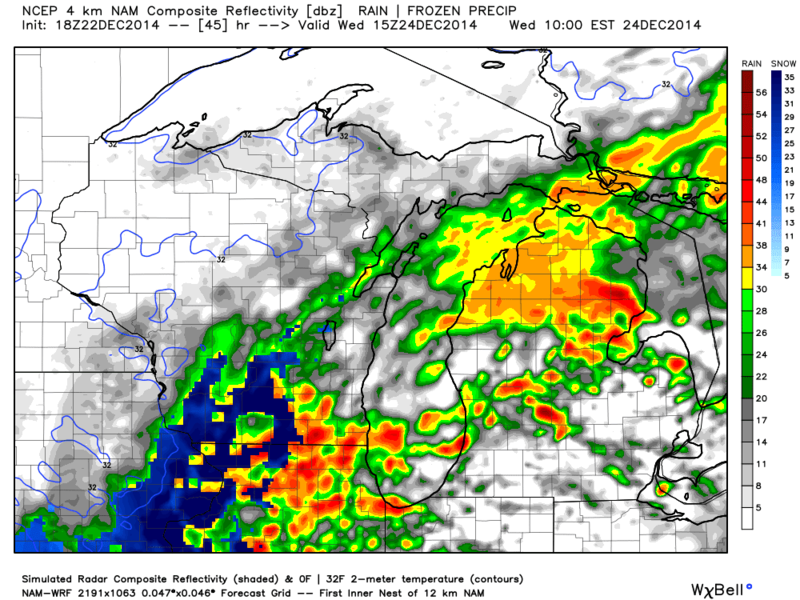 The above model run is the hi-res NAM, the operational NAM has the system pushing through Michigan, which would leave Illinios and Wisconsin dry. 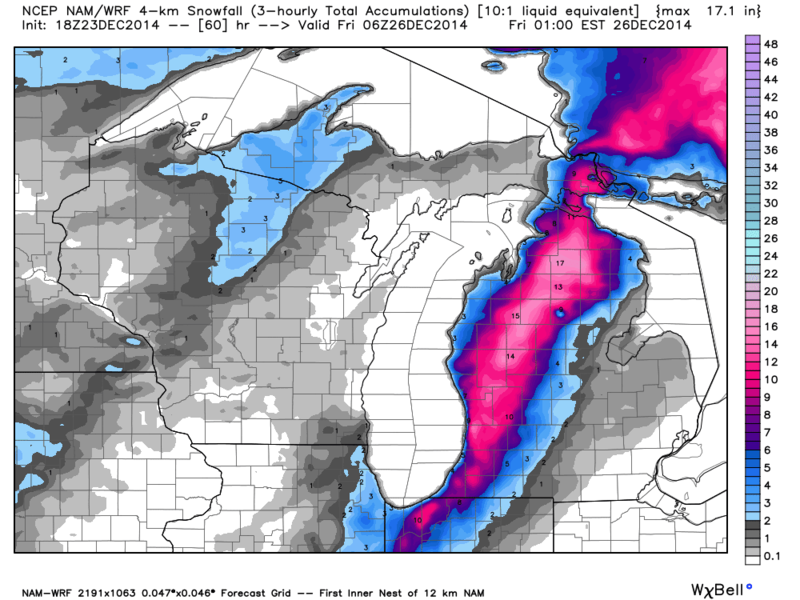 This has been quite the forecast challange. 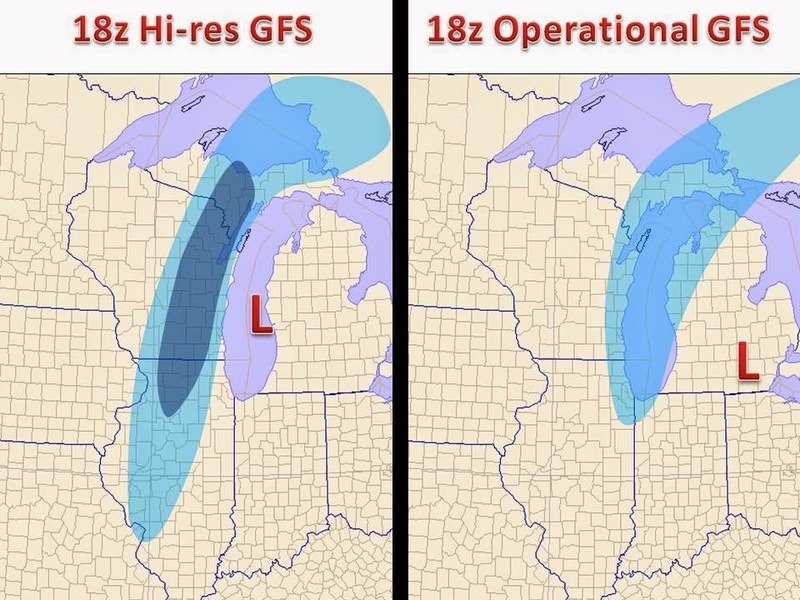 For further inspection, below is the difference in the GFS runs during the afternoon model runs.